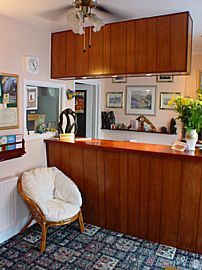 A warm welcome awaits all who find us at Glyn-Garth. 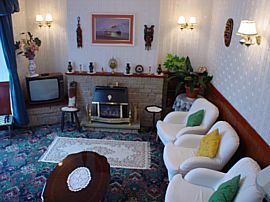 This AA Four Star guest house has been run by the Evans Family for nearly 50 years, welcoming old and new guests, to their well maintained establishment. 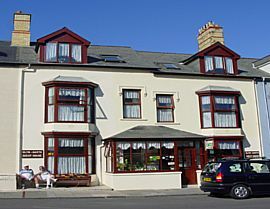 Glyn-Garth is situated near to the quiet end of the promenade, adjacent to the South Beach. Close by are the Castle, Marina / Harbour, Town Centre and Bus / Railway Station. 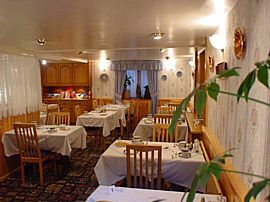 Glyn-Garth is a perfect base for exploring the delights of Mid Wales. We also now have Wi-Fi access. 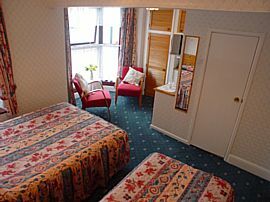 All rooms have Colour TV,Central Heating, Wash Basins & Tea/Coffee making Facilities. We are a completely non-smoking Guest House. Prices are from: £28.00 - £50 per person. Closed 2 Weeks over Christmas & New Year. Cross Trefechan Bridge and turn left in to South Road. Continue driving along this road. Glyn-Garth is at the end of the road on your right. Drive down Penglais Hill (Past the University and Hospital). Continue in to Northgate Street and follow the one-way system into Thespian Street and Alexander Road. Take second exit on Roundabout. Keep in the left lane to pass the Railway Station (which is on your left) then drive into the right lane as you approach the next Roundabout. Go straight accross the Roundabout into Mill Street. At the end of Mill Street, drive into the right hand lane to turn right into Bridge Street. Then, turn left immediately into South Road. Glyn-Garth is at the end of this road on the right. Keep left on the 2 Mini Roundabout's (just after SHELL Garage on left). Continue along this road until you reach the next Roundabout(approx.800 Metres). Take first exit off the Roundabout and drive up Penybont Hill until you reach the next Roundabout. Take the second exit off the Roundabout (to the right) and drive for approx. 1 Mile. Continue driving down this road. lyn-Garth is at the end of the road on the right.